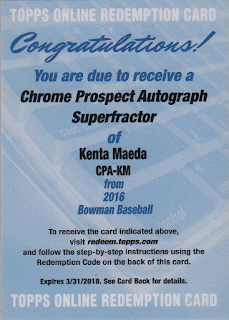 This is the "Big Daddy" of all Kenta Maeda Baseball cards. 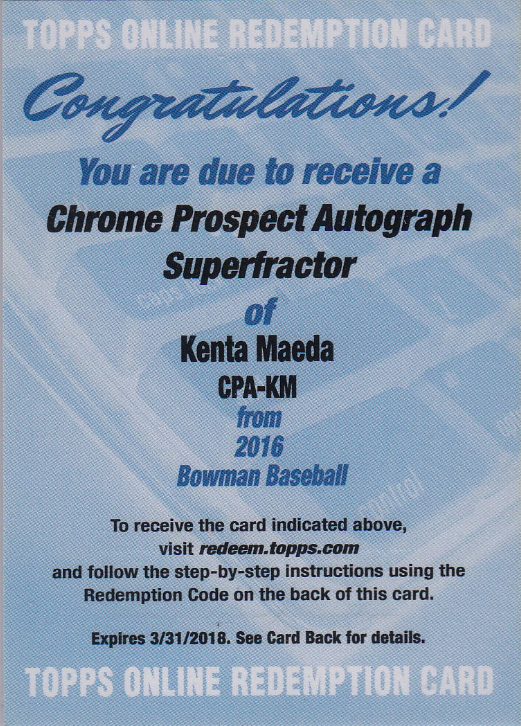 Over the weekend, thanks to a post at Blowout Buzz, I found out that the redemption for the Chrome Prospect Autograph Superfractor parallel card of Maeda had been posted up on eBay. It had a "Buy It Now" price tag of $14,999.00, and I figured it would just sit there unsold. 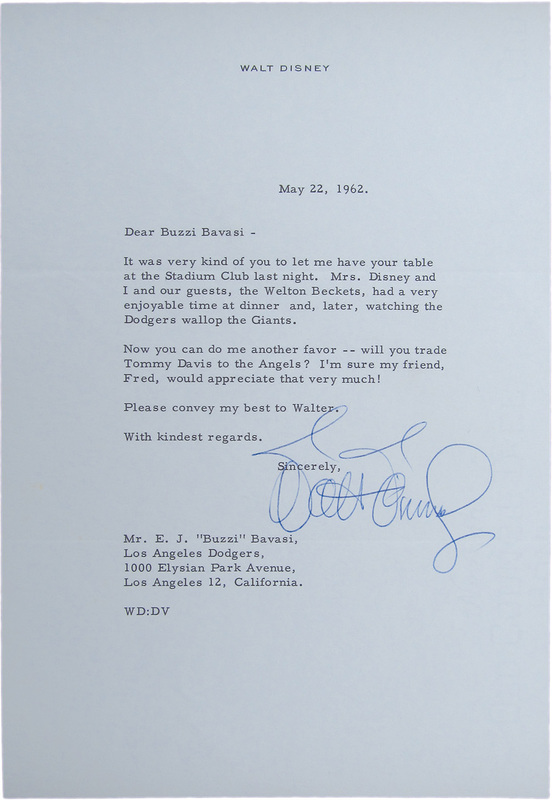 Once a upon a time, Walt Disney visited Dodger Stadium and tried to orchestrate a trade. 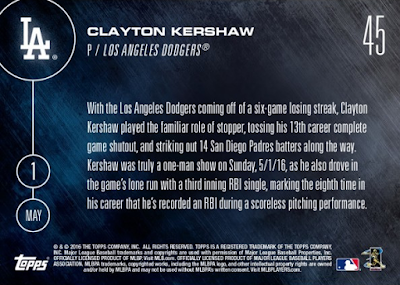 The fourth 2016 Topps Now Dodgers' card is now available for order, and it highlights Clayton Kershaw's gem from last night. Go here to check it out. Considering the importance of the game to the club and how Clayton seemingly strapped the bewildered team onto his back, I am not surprised Topps decided to feature him this morning. 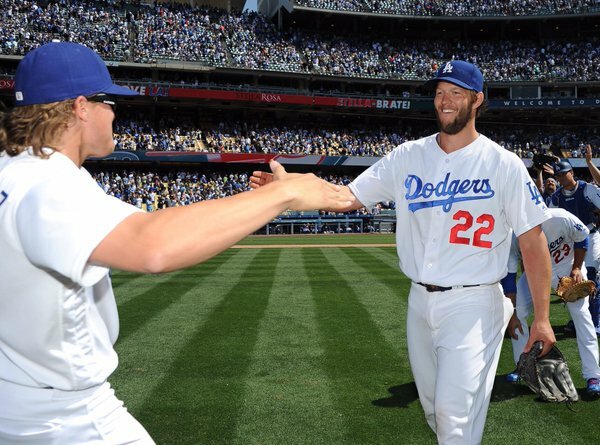 After all, the Dodgers were falling down the rabbit hole, and losing again (for the seventh straight time) could have haunted them during the upcoming road-trip to the east coast. My only complaint about this card is the photo they used. 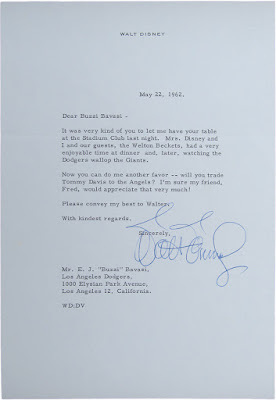 It's rather bland and ordinary. 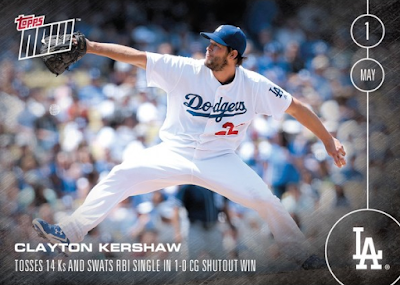 I wish they reached out to Dodgers photographer Jon SooHoo for this issue. He shared a bunch of great pics from yesterday's game that are worthy of some cardboard gold. Go here to check them out. UPDATE: Print run sold was 453 copies.